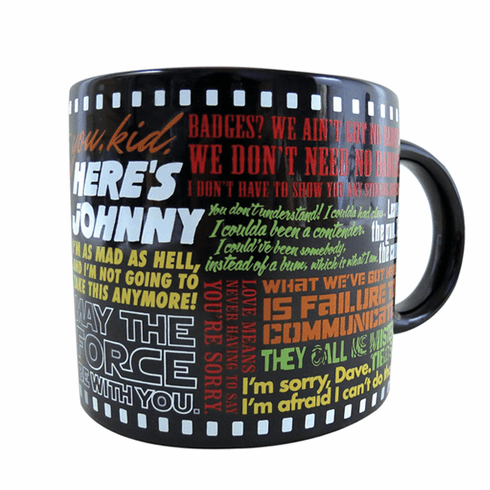 The Movie Mug is the ideal accompaniment to every meal, whether you're helping yourself to Soylent Green in the studio commissary or relaxing after a bad day at work with a nice cannoli. Mug contains over two dozen quotes from Classic Movies. 12 ounces. It's the #1 mug at central casting!